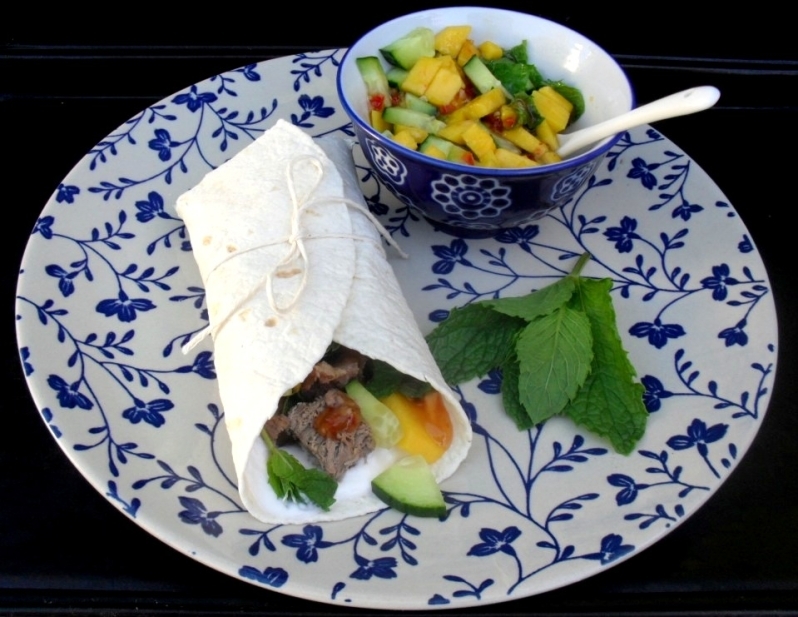 The first time I made these wraps with leg of lamb and mango and mint salsa was on a Monday night with left over leg of lamb of Sunday’s lunch. We often eat cheeses and bread on Friday nights so I spread the wraps with left over cream cheese too. It was such a wonderful and delicious dish that I just had to recreate it to take some pictures and to blog about it. So the next time I roasted a leg of lamb specifically to make these wraps. I always feel there is not enough time to roast a leg of lamb during the week, but actually it does not take that long at all. The general rule is to roast the meat for 25 minutes for every 500g and an extra 25 minutes to cook it to medium done. I personally prefer a leg of lamb to be cooked medium rare to medium. It must be cooked with just a hint of pink. If you cook the meat specifically to make this dish, buy a small piece of meat of about 500 to 600g. Make incisions into the meat with a sharp knife and place slices of garlic into the meat. (You need about 2 garlic cloves, peeled and sliced.) Season the meat on all sides with salt and black pepper. Place 2 sprigs of rosemary into a small baking dish and put the leg of lamb on this. Place another 2 sprigs of rosemary on top of the meat. Cover with foil and roast in a pre-heated 180⁰C oven for approximately 50 minutes. 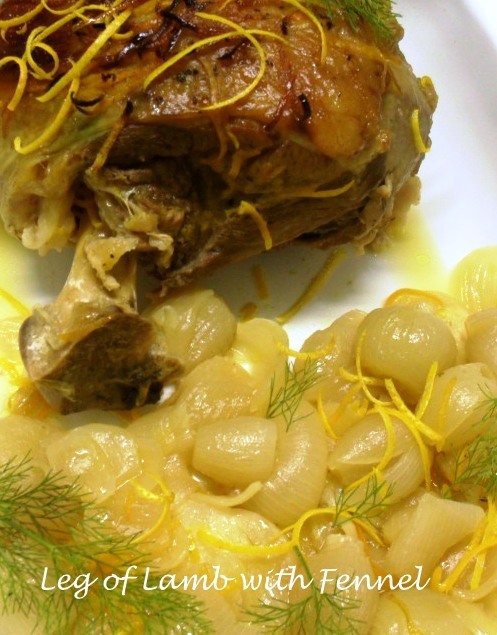 Remove the foil; the lamb should be cooked. If it is not cooked cook for another 10 or 15 minutes uncovered. 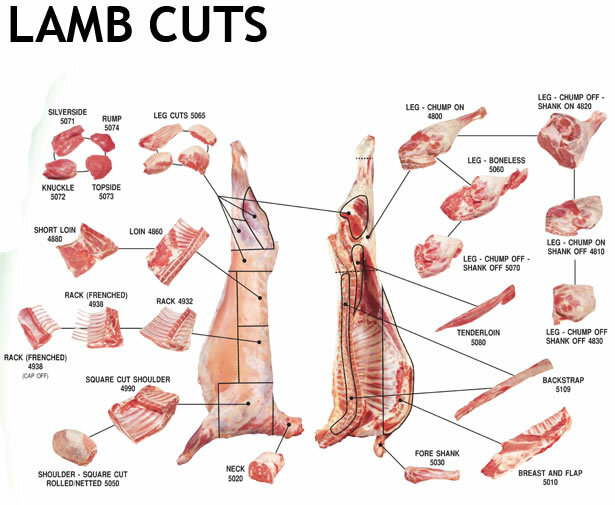 I prefer leg of lamb with the bone since the bone provides wonderful flavour. (To save electricity I strongly recommend that you cook a large leg of lamb and use it for two suppers.) It is very important to rest the meat after it was cooked. Cover it loosely with foil and rest for 10 to 15 minutes before carving. I spread cream cheese over the wraps, which is optional. The mango and mint salsa is however a must! 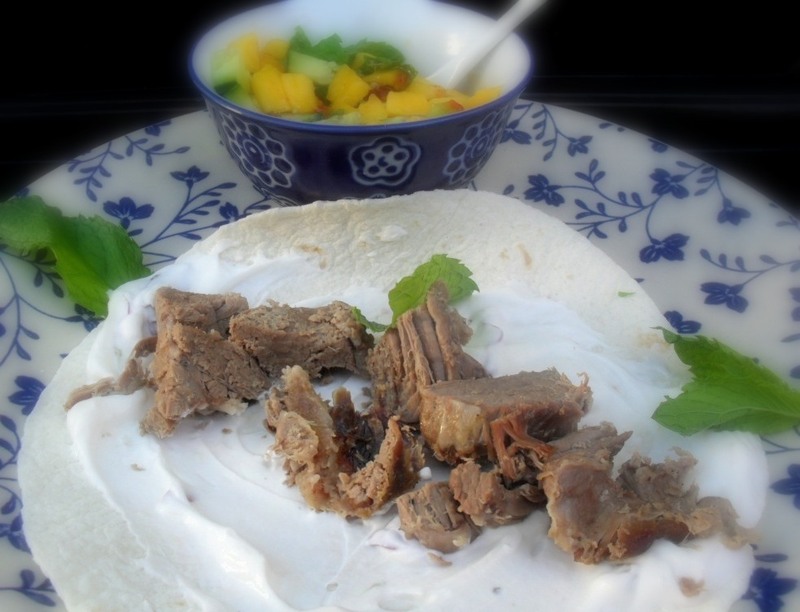 It is common knowledge that mint goes well with lamb and the sweetness of the mango compliments the lamb wonderfully. 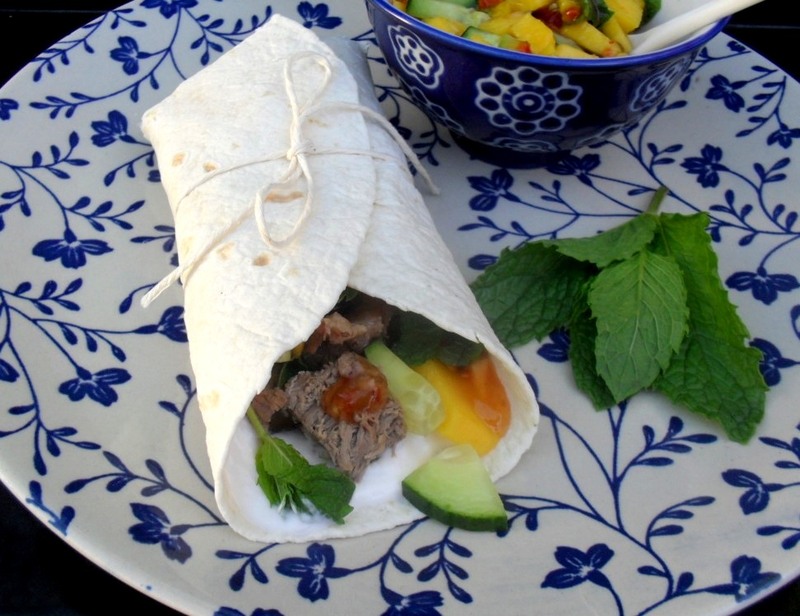 These wraps will be a hit served at an informal get together. 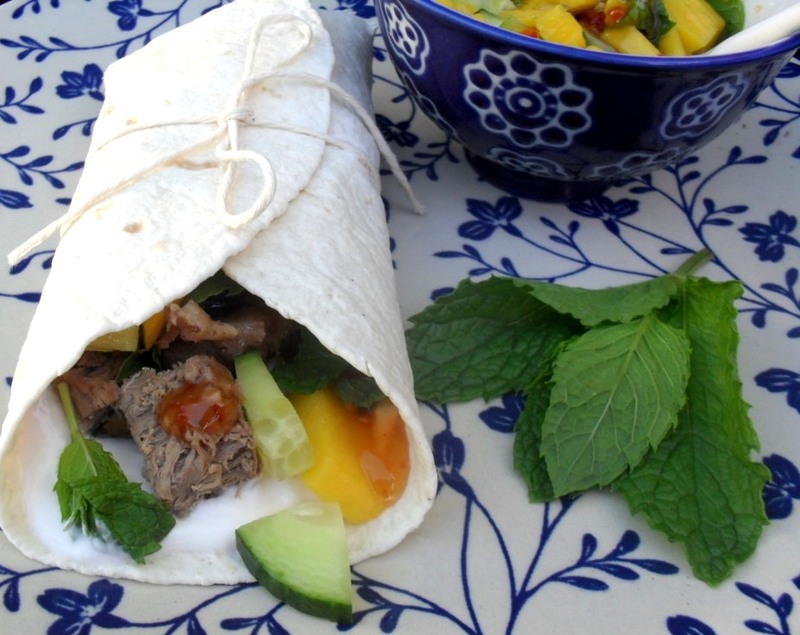 The wraps, shredded leg of lamb and mango and mint salsa can be placed on the table and every guest can put together his/her own wrap. You can add some freshly chopped tomatoes, salad leaves and fresh herbs and everyone can choose their own fillings and “build” their own dish.